MY TWIN FLAME “TWINKLEBEAR”: The love of my life. I enjoy writing. I find the exercise relaxing, stimulating and rewarding all at the same time. In fact, when I find my brain atrophying from watching too many mind-numbing viral videos found on Facebook, I turn to writing the written word, to recapture some of the brain cells lost from Facebook viewership. You may ask…. First of all, if you even have to ask what “twin flame” means, then please go to my home page, click on the links, and read the memoirs in chronological order, from the very beginning. When you’ve reached this latest memoir in the queue (I would say “line” but I am being solicitous to Twinklebear, who is English), then we’ll talk, okay? Ya gotta be informed, man! Well, aren’t you the nosy one, wanting to know why the pale ale ad is here! Okay, I’ll tell you why. I am in fact, drinking Sierra Nevada Pale Ale as I type these pithy words. Yeah, so I enjoy drinking beer when I write? So what? So sue me, okay? Anyway, writers are notorious for drinking while writing. Secondly, Twinlebear is solely responsible for switching me from Budweiser, to pale ale. Hey, I was a bud swillin’ good ‘ole boy before I met Twinklebear two years ago. But I made the switch, against all of my American instincts! 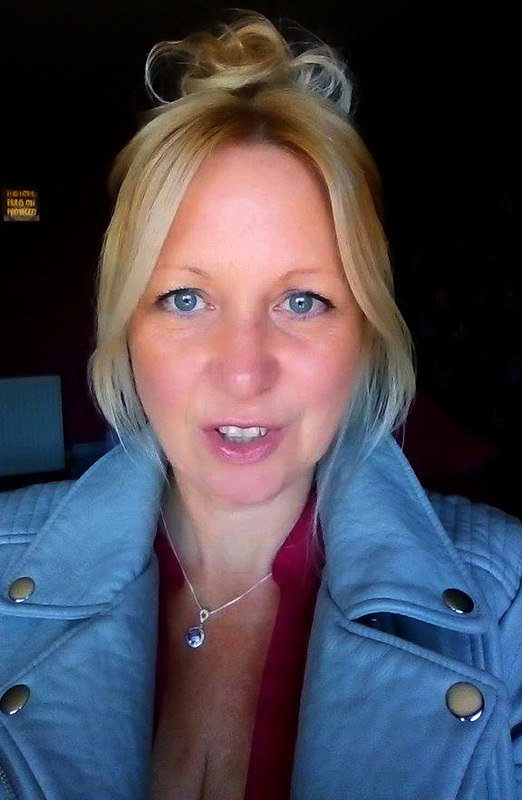 Twinklebear said to me…. So yeah, I trust Twinklebears’ judgement and knowledge regarding beer. 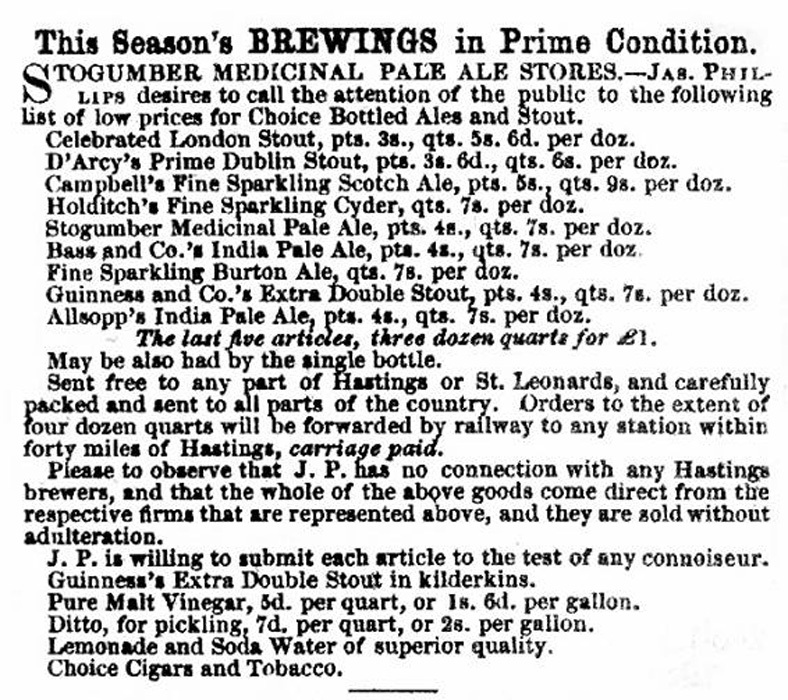 It is obvious to me, that England is the true of home of pale ale, as that 19th century pale ale ad testifies to. But I know what I’ll hear from Twinklebear tomorrow morning…. Ahhh….just your typical nagging twin flame! Twin flames, can’t live with ’em, can’t live without ’em, ya know…. Don’t mind that. That was just the sound of Twinklebear playing Whack-A-Mole on my head! You see, Twinklebear and I have been twin flames in many different lifetimes. I just said to her this morning, “I feel like I’ve known you for thousands of years.” We might as a couple, date back to Neanderthal times, when Twinklebear “DONKED” me over the head with a raptor humerus. We date more likely, all kidding aside, back to the Genghis Khan era, at our earliest. We both have this affinity for this era, as our beginning, replete with Twinklebear having had dreams (see earlier memoirs) of me as a Mongolian warrior, rescuing her from harm. In case you missed it, Twinklebear has predictive dreams (see earlier memoirs) that tend to come true, and had dreams of her and our past (also, see earlier memoirs) that occurred. Man! You people missed a lot, haven’t you? Go back and read those earlier memoirs, now! You laggards! Ha! Getting back into the serious vein I had hoped to mine when starting this memoir, I originally envisioned this memoir as being deadly introspective, with a cold clinical eye toward objective analysis—bot got waylaid.. But hey, the third can of ale is taking hold—so what do you expect? Ha! The twin flame journey is everything you’ve read that it is, if you multiply those assessments by one hundred. If you have acquainted yourself with the well-publicized manifestations of twin flame partners, you know that a twin flame relationship exceeds all known boundaries of the man-woman relationship between true soulmates, and is on an entirely different solar system, than the average marriage. An average marriage can putter along at a staid pace, with no truly pronounced highs or lows. There is a loyal commitment in an average marriage, with a predictable trajectory of a strong euphoria for perhaps the first few months, with a steady decline in intensity within that period. The word “comfort” comes to mind. Spouses in an average marriage, reach a comfort zone that carries them for years, indefinitely. But things are different in a twin flame relationship. Twinklebear and I can tell you that we have become totally obsessed with each other, and that this obsession only gets more jacked up, with each and every successive day. We simply cannot get enough of each other! We are on each others minds seemingly every minute of every day, and this intensity grows more, instead of declining with the passage of time. This twin flame fever is one malady, that is not cured by the vaunted tincture of time. Twin flame lovers, also share everything to an unprecedented degree. Twinklebear and I have fulfilled this compulsion, to be totally open with each other, letting all previously well-constructed personal barriers fall like redundant cards. This fascinating effort to strip away the phony, unreal and superfluous, is legendary and mandatory. Because Twinklebear and I as twin flames have become so close—closer than partners in an average marriage—each of us feels the highs and lows of the other, innately and fully. We therefore experience the very highest of highs, and the lowest of lows. It can be an emotional roller coaster, so the twin flame journey, is not for the faint of heart. One should not enter into a twin flame relationship, or more accurately—allow oneself to be swept away into one—unless one is ready to assume a total absorption of the other partner. Believe me, the twin flame journey is like an irresistible ocean current, with an undertow so strong, that once it gets a hold of you—will not let go. There is great responsibility and commitment in the twin flame relationship—that will not let one to ignore it. And that’s what this is all about. Twinklebear and I have become totally absorbed with each other. There is no middle ground for twin flames. A twin flame partner, is all in for the other. We are the reality, and the rest of our respective worlds, are drab and less than three dimensional. Our twin flame world is fully color saturated, while all else is monochromatic. I will start with ” bad boy! ” You! How many beers last night ? Hmmm! Sookybear, at least it had less chemicals in it now. Ha! Such a great analogy of how our Twinflame journey is , we totally feel everything more intensely. Thank you. So much for writing this. I love it, love you! Always and a day! Twinflames 🐻 podmates bearpact forever. 121212 .. now let me see, where’s my ” Donking club? ” Ha ! 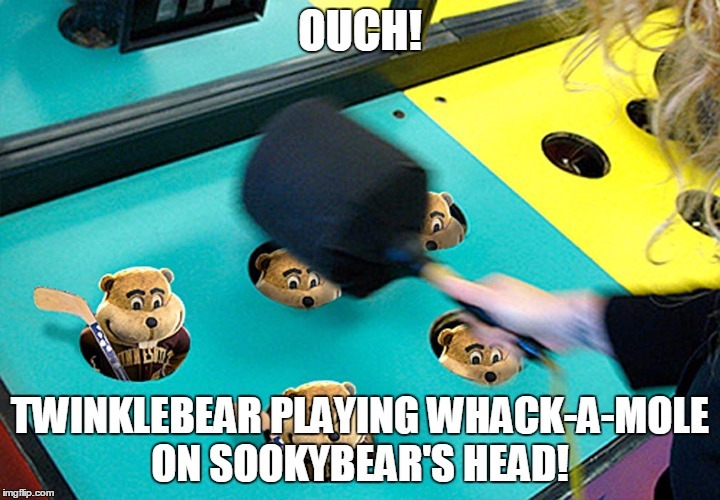 It’s time to play ” whack a mole “on Sookybears hangover heady! Ha!